What smartphones are currently supported by the EyeQue Personal Vision Tracker? What is the Universal Calibration for Android smartphones? I have an iOS/Android based tablet; why can't I use it with the EyeQue Personal Vision Tracker? How do I start an EyeQue vision test? How do I restart an EyeQue vision test? Can I delete the EyeQue PVT or Insight app from my smartphone? Will it delete all my data? Why do I need an internet connection to take the EyeQue Vision Test? 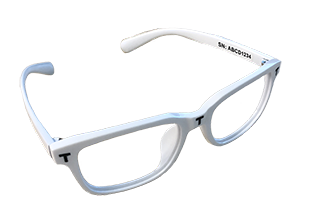 What do the terms on the EyeGlass Numbers dashboard mean? 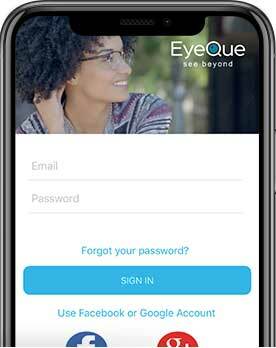 You can delete either the EyeQue PVT or Insight app from your smartphone and your account will still be valid. You can still access your data directly from our website by clicking on the "Sign In" button on the top of our page. We will not remove any data from your account without your written consent. You can ask for certain points of data to be inactivated by contacting customer support at support@eyeque.com. Does each User need their own EyeQue account or can everyone use the same account? Why do I see blurry lines when I look into the miniscope? Is it supposed to be blurry? Why does the EyeQue app ask if I have a screen protector on my device?